It might be hard to imagine with the nice warm weather we are having now, but soon fall/winter will be here and along with it cold weather and snow (if you live in the north like I do!)! 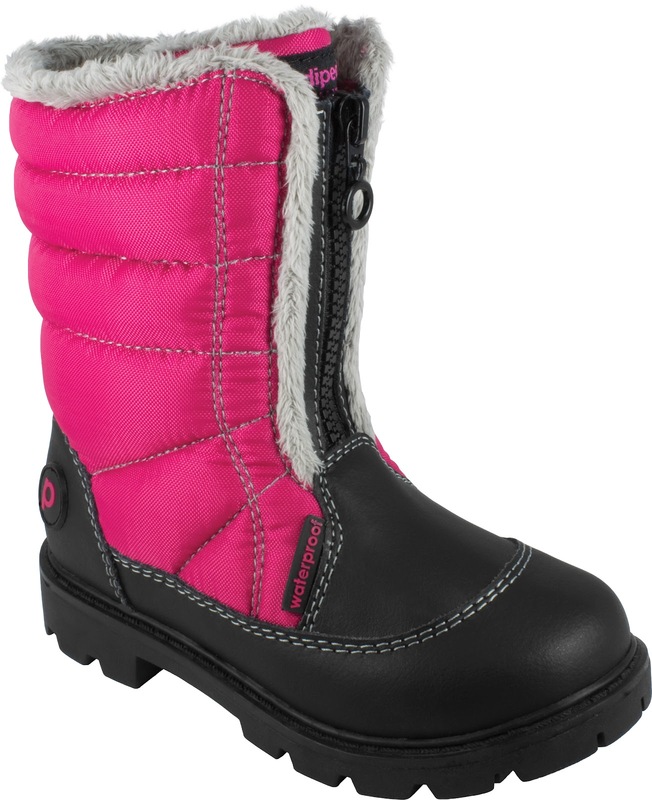 So make sure you get your children ready to play outside in that weather with the new athletic line, cold weather boots and more than 80 new styles from the pediped Fall/Winter 2012 Collection. You know how much we LOVE pediped in our house and they have been a favorite for years on my children!! 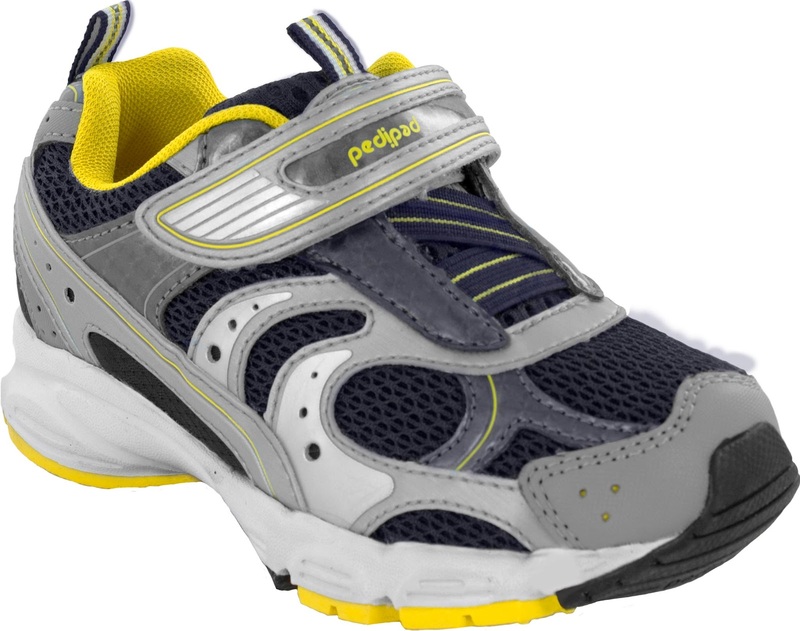 Engineered for comfort and built for speed, pediped's new line of athletic footwear has an ultra-light weight of just five ounces (based on a size 27), flex grooves for maximum flexibility and are machine washable. 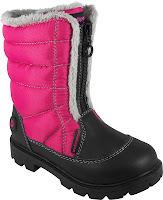 The new line of waterproof cold weather boots, created as a result of customer demand, have a temperature rating of -20 degrees, self-cleaning soles and a waterproof exterior. The Fall Winter 2012 Collection also includes more than 80 new design offerings across pediped’s existing three lines: Originals®, Grip 'n' Go™ and Flex®. The new designs feature pediped’s signature comfortable fit along with a broadened range of colors and fabrics that includes navy, metallics, three-dimensional details and suede. We generously received the Daniel Dark Brown Flex Shoes from pediped this Fall and I was so excited to try our first pair of pediped dress shoes. I wanted to know if they were just as comfortable and easy to walk in as the other shoes we have from pediped! Check out my little video review below! These shoes are just right for the perfect little gentleman and this ultra comfortable brown penny loafer will be his go to dress shoe for every season. At first I was trying to put the shoes on my son without realizing the strap was velcro and could come off! It was must easier to put on once I realized that! As with all the Flex shoes, they have the Flex Fit System so it includes two insoles so you can get the perfect fit even as your child grows! These shoes also feature all leather upper and lining, an all natural rubber sole, and the super comfortable penny loafer style so they can look just like their daddy! And best of all, these shoes are approved by the American Podiatric Medical Association for promoting healthy foot development! Make sure to sign up to become a pediped Insider on www.pediped.com and sign up to like pediped on facebook at facebook.com/pedipedfootwear to be the first to know about special promotions, new product introductions and more! Buy It: You can purchase the Fall/Winter 2012 collection online at www.pediped.com, at the pediped company store in Henderson, Nevada and at select retail stores nationwide.